We're bound to spawn computers smarter than us in the next ninety years or so. So we may as well start hoping they have our best interests at heart, says Wake author Robert J. Sawyer. For 50 years now we have been inculcated by science fiction, so we have to take the blame for it as writers, I guess, that computers are inherently evil. 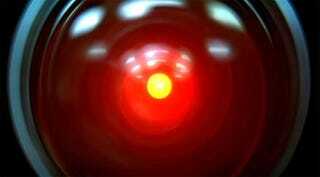 Starting with HAL in 1968 (2001: A Space Odyssey), every computer that Captain Kirk every dealt with, The Matrix, the Terminator films ... all of this stuff preaches that AI, artificial intelligence, is going to be humanity's downfall. I've done my fair share of that myself in some of my earlier books. But I got to thinking about whether that was inevitably true. What I set out to do with this trilogy is to find a new synthesis, a way in which we can retain our essential individuality, humanity and freedom without any longer being the most intelligent beings on the planet. It's inevitable that we're going to face things this century that are brighter than us so we've got to start thinking about ways that we can make that work for us, instead of sort of throwing up our hands. Or we could just start building little bombs into every computer, so we can detonate them if they start to get any ideas.